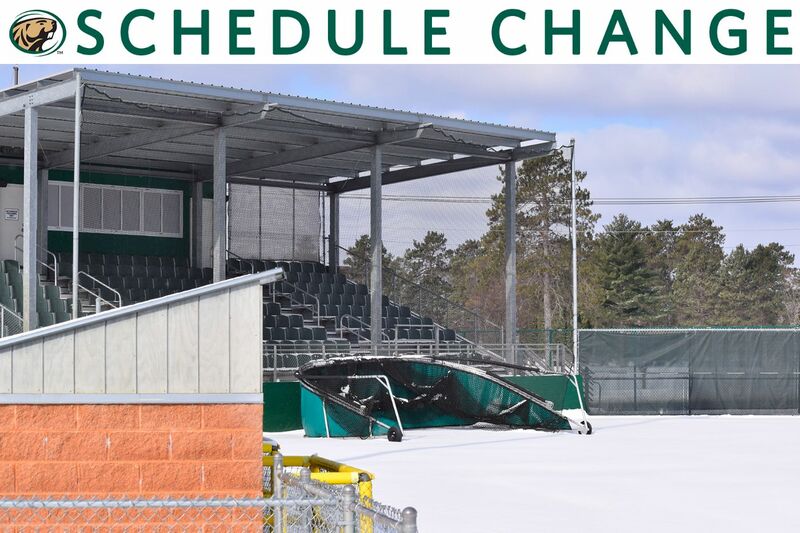 The Bemidji State University baseball team will remain away from Bemidji, Minn., but will play as the home team Wednesday during a Northern Sun Intercollegiate Conference doubleheader against Winona State University in Winona, Minn. The Beavers and Warriors will play a nine-inning and seven-inning game beginning at 1 p.m. at Loughrey Field. Bemidji State earned its first win in NSIC play with a comeback victory in the seventh inning Wednesday, March 27 at Concordia University-St. Paul. Over the past week of games, BSU went 1-5 and 1-4 in the NSIC. After trailing 4-3 entering the top of the seventh inning, BSU used three straight two-out RBI singles to score the game-winning runs. On the week, the Beavers hit .202 from the plate, fielded .950, and stole seven bases on 10 attempts. Beaver relief pitchers totaled a 4.91 ERA with 10 strikeouts. Sophomore infielder Blake Huntley led BSU with a .438 batting average, including seven hits, three RBI, a .438 slugging percentage, a .500 on-base percentage, and two walks. Huntley had a six-game hitting streak ended against Minnesota State University, Mankato but is on a seven-game reached base streak. Sophomore catcher/designated hitter Matt Kummet recorded five hits and 10 putouts with a perfect fielding percentage. Senior pitcher Tommy Geisenhof recorded BSU’s win while senior pitcher Jesse Palafox earned his first save of the season, striking out three batters in the seventh inning against CSP. Palafox threw 5.0 innings over the week with seven strikeouts and an opposing batting average of .318. BSU is led by 14th-year head coach Tim Bellew, who is the second-winningest coach in Beaver Baseball history with a 212-430-1 record overall. Bellew trails Bob Montebello (1959-87) by 87 wins for the program’s most victories by a head coach.